Chinese companies are seeking more mergers and acquisitions in Europe as economic relations with the US deteriorate. But recently, obstructions have increased as some European governments worry about the possibility of technology transfer with the help of government subsidies, and as intervention from the US government increases. Industrial insiders suggested that Chinese companies bypass acquiring European companies in high-tech industries and use loans from European banks rather than domestic banks. However, this trend has aroused uneasiness among European governments, which are keeping a closer watch on Chinese investments. 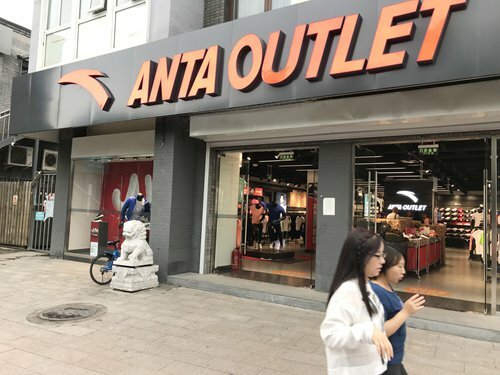 Recently, a consortium led by China's largest sportswear company, Anta Sports, launched a 5.6 billion euro ($6.37 billion) takeover offer for Finland-based Amer Sports, according to a report of the Financial Times on December 7. In September, home appliance maker Haier also announced it would acquire 100 percent of the shares of Italian-based home electric appliance maker Candy. "Nowadays, more and more Chinese companies are turning to Europe to carry out investment and acquisitions. Their demand for acquiring European companies has been growing fast in the past five months, including technology ventures in Germany and the UK," a lawyer who provides legal services for Europe-bound acquisitions said on Wednesday. Chinese companies' growing interest in mergers and acquisitions in Europe comes at a time when relations between China and the US are deteriorating, as the US government shuns Chinese investment and has repeatedly obstructed Chinese companies' acquisition proposals for US companies. For example, Chinese telecommunications firm Huawei has been forced to drop several of its acquisition plans in the US because of obstruction from local lawmakers, according to media reports. According to a 21st Century Business Herald report on Thursday, the value of acquisitions made by Chinese companies in Europe rose by 40 percent on a yearly basis in the first six months this year, about 4.5 times the amount of Chinese firms' acquisition volume in the US. The number of acquisitions made by Chinese firms in the US also dropped by 40 percent on a yearly basis during the period. But is the path for Europe-bound investment by Chinese companies unobstructed? Signs have appeared that difficulties are also emerging for Chinese companies seeking mergers and acquisitions in Europe. As Chinese companies ramp up investment, some government departments in Europe have heightened audit thresholds for the Chinese companies' acquisition plans. According to the 21st Century Business Herald report, government departments in Europe are generally concerned about whether Chinese companies are speeding up business mergers and acquisitions with the help of subsidies provided by the Chinese government on Europe-bound investment. According to the aforementioned lawyer, two Europe-bound acquisitions were temporarily derailed in the past month because financial departments of the European countries involved found that, according to acquisition documents, Chinese companies had gained large acquisition loans from Chinese banks. It triggered worries about whether Chinese companies are trying to hasten company acquisitions supported by government subsidies. The 21st Century Business Herald report also cited an investment bank employee, who provides financing services for Chinese companies seeking acquisitions in Europe, as saying that many local governments in China have rolled out measures that facilitate financing for outbound investment in order to push industrial upgrading, but those measures have also been viewed by European government departments as a way to "subsidize" Chinese companies. "Many European regulators would also strictly investigate the capital interaction between Chinese companies and local State-owned enterprises, for fear that the government is subsidizing to help companies gain enough capital to carry out overseas acquisitions," the anonymous investment bank employee said. He said that such investigations usually take a lot of time and many Chinese companies are unable to get approval from local authorities before their acquisition contracts expire. European authorities are also worried about whether Chinese companies' acquisitions in Europe will lead to problems including business slumps or job cuts in the acquired companies, which would negatively influence local economic development. Chen Wenxuan, managing director of consulting firm Oaklins HFG China, suggested on Wednesday that Chinese companies would be better off using loans from local banks when carrying out acquisitions in Europe, rather than directly using acquisition loans from Chinese State-owned banks. But the lawyer also stressed that despite stricter control on acquisition capital, European departments are still more lenient on "high-end technology exports" compared with the US, as many of them aspire to introduce Chinese capital to boost the local economy as well as get a slice of China's rapidly growing consumer market through cooperation with Chinese companies. Chinese companies' investment in Europe also faces obstacles as pressure from the US has increased in recent months. According to a partner of a European law firm who wished to remain anonymous, a Chinese company once intended to acquire a Germany-based semi-conductor equipment manufacturer, and the acquisition process had been approved by German authorities, but intervention from the US government had forced German regulators to restart the approval process a second time, and the acquisition plan eventually aborted. The US interventions are out of concern that Chinese companies' acquisition of European companies might cause industrial technical superiority to tilt in favor of Chinese companies. Additionally, many high-tech products made by European companies have wide applications in key industrial areas in the US, and the US government hates to see those products move from their markets to others due to acquisitions, according to the 21st Century Business Herald report. The law firm partner noted that recently he had been persuading Chinese companies to halt their acquisition plans in areas like semi-conductors, chip manufacturing, 5G-related technology and other high-end technology in Europe, as acquisitions in those areas are more likely to trigger intervention from Washington DC. For Chinese companies that still intend to make acquisitions in those industries in Europe, he would suggest setting up joint ventures with the European companies and then seek mergers and acquisitions in the future. "If the joint venture performs well, that will also help ease the European authorities' concerns and thus create good conditions for the future acquisition proposals," he said.